Silver Lining: What to wear for fall pics?? I need your help! What to wear for fall pics?? I need your help! My cute friend Kirsten and I are taking our husbands up to the canyon this weekend to take some fall pictures of each other. They are an awesome couple to hang out with, and the canyon is gorgeous this time of year. Also, my husband is a champion for taking pictures with me, even if they aren't his favorite thing ever. But the main question is -- what should I wear?? The only thing I've decided on is mustard yellow. But what colors should I pair it with? What else should I wear? I know, #firstworldproblems. But still. Help a girl out! I LOVE that purple hair bow! So I think purple would be fun since it's not something you see as often! But I don't own purple so I'd probably end up wearing reds and blues with the yellow. Haha. Fun! 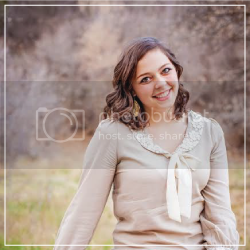 I wish i was in Utah right now so I could do Fall pictures in the canyon! 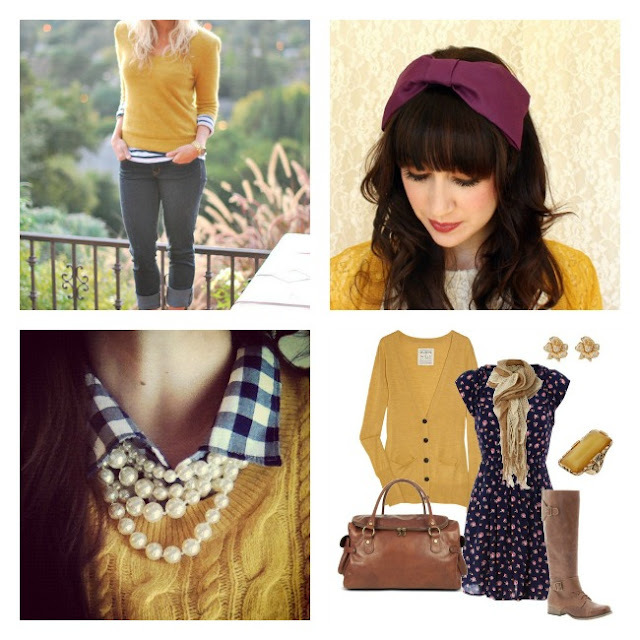 I love mustard paired with deep reds and blues. Have fun! Can't wait to see the result! mustard yellow. i agree. haha. new[est] follower. can't wait to see what you end up choosing! I have a crush on mustard yellow too! I just ordered a new maxi skirt that is mustard. I'm a little nervous about it because I am SHORT and long skirts have the tendency to make me look squat. But I did it anyway. From the pictures it looks like you already decided and proved that navy is sooooo cute paired with it! LOVE the outfit on the bottom right!! Oh the cuteness! I just bought a pair of mustard yellow moccasins from Minnetonka! They are awesome!